In #2019, no TINA but be wary of TAIL! As 2018 winds down and we step in to 2019, for India, it is just not another new year. Mid of 2019 is when we will have the Lok Sabha polls that will determine if Narendra Modi will get another shot at being the Prime Minister. In my memory, I cannot recall of any individual who has come for so much scrutiny as an elected representative. And whose re-election is being discussed and debated so intensely in the country. First up, blame it all on the social media and its growing tentacles! The fact that a government’s performance is coming up for such a rigorous appraisal itself, augurs well for our country. It should be like that. I only hope that this appraisal business isn’t selective and not just reserved for Modi Sarkar! If I think as to why this government has come under such a close assessment, I realise that it should blame itself for the same. Set targets for itself on many fronts? Which announced the targets and put them out in public domain? Which tracked the actual delivery against the targets and presented them for everyone to see and comprehend easily that too mostly on real-time basis? Today we know, not just what this government’s targets are for rural electrification, construction of highways, building targets, opening of bank accounts so on and so forth but also where it stands in terms of achievement. One look at the https://transformingindia.mygov.in/performance-dashboard/ site gives us an update on a real-time basis. It is not that governments in the past did not set targets for themselves. But all these targets were usually in terms of outlays announced in the Annual Budget speeches and seldom one would know what the final outcomes were. Between the outlays and outcomes, the India story remained in tatters. I guess not any more. So, if people keep remembering the promises made and get disappointed if some of the promises have not been met fully or adequately, blame it on the Government’s efforts of putting out data in the open which makes it possible to compare achievements Vs goals easily. In comparison to the upbeat mood in 2014 and 2015, today the mood in the country is more sombre. Even the most loyal fans of Modi have realised that probably he chewed more than what he could swallow. Five years are just not enough to turn around and solve all the ills of the country. That too when the global economy is facing one headwind after another! But then, as a country we had our own share of misses. Right when the economy was getting back on track in 2015/16 from the throes of policy paralysis and negative vibes and was poised for a leap, this government let loose the Demonetisation devil on the economy. This set the economy back by 2 years to get back on track. That we didn’t fully collapse and managed to grow the economy at a slower pace nevertheless, would be a miracle, academicians would pore over in the years to come! Before the effects of Demonetisation could subside, this government went ahead with the introduction of GST which according me is the biggest Tax reform in Independent India. Irrespective of the critics who take on this government on the “not so perfect” GST, I maintain that it was extremely creditable on the part of Modi Sarkar to launch the GST without further delaying, on the 1st of July 2017. In India, in aspects of meeting deadlines, we Indians follow religiously and rigorously the Theory of Elasticity which says solid materials deform under the application of external force and regain their original shape when the force is removed. So, in the quest of a perfect, ideal GST, if this government had deferred the launch, who knows, perhaps we will still be talking of “introducing the GST” in the upcoming budget! Against that, today we already have a thriving GST which is now going to complete 2 years! The introduction of GST will remain this government’s biggest achievement when its history is written. The short term pains inflicted by these 2 moves (Demonetisation and GST) to the small and medium businesses combined with the government’s failure to address the Banking crisis at the beginning of its term have led the BJP to the situation where it is today. In its strong hold states like Gujarat, Madhya Pradesh, Chhattisgarh and Rajasthan, the party’s support base has been dwindling. On the contrary, the Congress which seemingly had no hope of a revival till mid-2017, has smelt blood and is hoping to deprive Modi of a second term and a shot at history. In India today, in the main stream media and also probably social media, the obituary of Modi Sarkar is being written on a daily basis. As per me, it is too early to write off Narendra Modi in the context of 2019. In spite of his government’s misses in terms of promises and more importantly the delivery of Achhe Din, his personal credibility as a leader who is keen to deliver, is intact. I do believe that there are those who are disappointed with him. But they are still not disgusted with him. Yet. My personal feeling is that they would like to give him another chance. The same states which voted out the BJP recently could very well see voting for Modi in the Lok Sabha polls! Apart from this factor of Modi’s personal charisma, there is another important factor at play. People like to call it the TINA (There Is No Alternative) factor. I don’t believe that there are no alternatives to Modi. In fact, we have many. We have the spectre of a Rahul Gandhi becoming the Prime Minister, if a Congress led UPA front emerges as the biggest. Or else it could be toss between a Mamata Banerjee or a Mayawati or a Chandrasekhar Rao or any other leader depending upon how many seats they win, as part of a coalition which will be cobbled together post the elections. In all these cases, a leader of the party with 30-40 MPs would head the coalition of 10-15 parties with each party playing the “I am indispensable” card! This Mahagathbandan where, parties will oppose each other in one state but will come together in another state is only a Maha”cut”bandhan who want their share of power and the perks that come with it. I believe that people are smart enough to understand and realise that Modi Sarkar might have disappointed but will still probably vote for him not because of TINA but being weary of TAIL – The Alternative Is Lousy! In the past, we saw many Accidental Prime Ministers as we didn’t sight TAIL properly! Hope 2019 is different. On that hopeful note, wishing India a momentous 2019! Nano – Tata’s and India’s miss! Tucked in between the noisy and newsy headlines in India in the last week around Love Jihad, Rahul Gandhi’s religion, Ivanka Trump’s costumes in Hyderabad and other inanities, was a poignant news bit about the Nano car. Poignant, because it said that dealers have stopped placing new orders for the car and in the month of October, just a measly number of 57 cars were shipped. And this led to political jibes from Rahul Gandhi that the PM’s pet ‘Make in India’ project just died. He also tweeted that Rs. 33,000 crore of tax payer’s money and that too of Gujaratis’ turned into ash. Coming in the midst of a vitriolic election campaign in Gujarat, one can excuse politicians for spicing up their speeches without looking at the larger picture. The point is taking potshots at Nano’s failure is taking potshots at India. Failure of Nano is not just a failure of Ratan Tata or the Tatas but a blot on India. Cut to year 2008, when Nano was first launched, it was the biggest story of India Inc. ever. When Ratan Tata initially announced that Tata Motors is working on a Rs. 1 lac (US$2500) car, it was met with excitement and skepticism in equal measure. So, finally when Tata did launch the car with a price tag of Rs. 1 lac, the world did look up and notice. Finally, here was a car which was conceived in India, designed and developed by Indians with indigenous technology and manufactured in India that broke all cost frontiers unimaginable by car manufacturers till then. Overnight, Ratan Tata was the toast of the nation. Around the 2008-10 time period, whenever I met any foreigner from Japanese to Americans, our conversations invariably touched upon the Nano car and how this was pulled off. And those visiting India always wanted to see a Nano car on the road and take a picture in front of one. Selfies didn’t exist then! The Chairman of a well- known Indian group who drove a Camry, proudly told me that he was the first among to book a Nano in Mumbai and to get delivery as well. At that time, Nano was yet to be seen in big numbers in Mumbai. But on a visit to Colombo in 2011, Nano had already captured the “Budget Taxi” space there. Media was full of interviews of not just Ratan Tata but also of the R&D engineers who had designed the Nano. Nano’s launch was the culmination of a series of stories in which India Inc. was part of then. It was believed that Nano would be a live case study for C.K. Prahalad’s “Fortune at the bottom of the pyramid” theory! That was not be and the excitement around Nano soon started tapering. Unfortunate incidents of the Nano going up on flames on the road didn’t help at all. For a product which was expected to expand the car market by 65% or so, the sales was plateauing around 70,000 Units a year for 2-3 years before nose diving to what is a few hundred cars this year. The failure of the Nano car must be one of the most analyzed and discussed case study in B- Schools, I reckon. Most of what I have been reading, attribute its failure to the “positioning” of the car as the world’s cheapest car in the beginning. The Quality failures adding “fuel to the fire”. Attempts to re-position the car as a “Cool Urban car”,… didn’t help either. I have a different view on the reasons for the failure of the Nano car. But will keep that for another blog. In business, they say there is no room for emotions and decisions need to be taken based on just commercial considerations. The ousted Chairman of the Tata Group, Cyrus Mistry recently said that during his time it was decided to pull the plug on Nano as it didn’t make commercial sense, after attempts to revive the project failed. As of now it hasn’t happened. The current Chairman Chandrasekhar has been more considerate, probably towing Ratan Tata’s emotional line. He has said that there is a need to take a more “holistic” view on the Nano project. And I tend to agree. Nano was not a Tata story. It was and is an India story. Ergo, failure of Nano in a way is an indictment on the capability and potential of Indians. And as somebody said, “Nano was not an Idea. It was an ideology!” Ideas can fail. Ideologies need to linger! The failure of Nano soon opened up to “We told you so” and how can Indians pull it off” jibes. For a 3rd largest economy (GDP-PPP) in the world, India is yet to throw up globally renowned home ground brands. So far, it’s been the soft power brands like Ayurveda, Yoga, IIT and the likes which have been torch bearers for India globally. Let’s keep aside the Software brands like Infosys, Wipro,… aside for the time being. 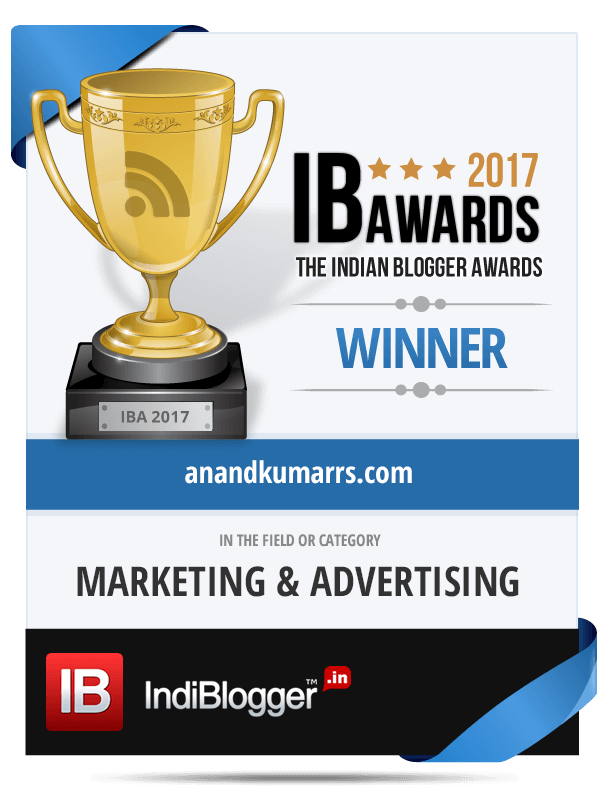 In one of my very early blogs (read here) on different styles of management, I had opined that for the world to recognise, acknowledge and adopt the “Indian style of Management”, we need stories of successful Indian companies and brands. Just like how the world adopted the American way or Japanese style when their companies were successful. And that opens the door for Indian companies, Indian products and we Indians in the global arena. Nano was uniquely positioned to be the 1st homegrown successful Indian product brand. There was an opportunity for India Inc. to have “arrived” in style. Not just that. Success of the Nano would have led to similar pushing of cost and design frontiers by other Indian companies in many other product categories. It would have opened the floodgates for Indian CEOs to apply the “frugal innovation” concept in other products. Hence my fervent hope that Nano should succeed. So, when it failed as it has now, it has pushed back the India Inc. story by few years till we stumble upon the next Big Idea. In the meantime, Nano I believe, is slated to make a comeback in an electric avatar. Will this avatar help Nano to claim the position of “the common man’s car” in Indian market that Ratan Tata originally envisioned 9 years ago? The world in no longer watching it with the same excitement of 2008. Away from the arc lights, the original billion dollar opportunity still beckons! A quote alluded to Ratan Tata says, “I don’t believe in taking right decisions. I take decisions and make them right!” Nano might have been a glaring exception to this. For Ratan Tata’s sake, Nano-II should set the record straight. For India’s sake too. Ever since the RBI released its Annual report 2 weeks ago, Demonitisation (DeMo) is back in the news. And with its eminent Ex-Governor Raghuram Rajan now in India to promote his book, DeMo continues to hog the headlines and Op-Ed pages. The analysis of DeMo swing from scathing criticism of being a “big mistake” by the likes of Ex-Economic Advisor Kaushik Basu to calling it a “huge success and a course correction” by the likes of Gurumurthy, the veteran commentator on public affairs. So, as it happens in most issues these days, “for every spin there is an equally effective and opposite counter spin”! And where you stand on an issue depends on where you stand on the ideological divide. On social media, it was a hashtag war between #DeMomenisationsuccess and #DeMonetisationfailure! Ten months on, based on all the data available (99% of DeMo notes coming back to the banks) it seems that DeMo has not helped in sucking out the black money. In retrospection, I wonder how the government expected anybody in India to give up their prized possession (currency notes in this context) at all in the first place. In my own experience, when coming out with marketing promotion programs for the trade, we usually take twice the time for foolproofing the program compared to conceiving the program itself. This is from the wisdom of previous programs over the years where, we found that the Indian brain works over time always to find loop holes/gaps in any program announced. So, in a sales promotion program for example the trade will end up earning the incentives while you never achieve the increased sales objectives! This is what happened in DeMo as well. If you remember, the day DeMo was announced, the chattering class’ verdict on WhatsApp group and dining area discussions was that it was a “Master stroke”! While the middle class and upper middle class folks who didn’t have unaccounted cash had to just find ways of beating the lines to exchange their notes, the ones who had, started cranking their brains. The result was the everyday tweaking of the rules and adding more terms and conditions for currency conversion. The then Economic Affairs Secretary Saktikanda Das became a celebrity overnight, thanks to his daily media briefings on what else – change in rules! By now, it is clear that notwithstanding the anti-DeMo commentary of economists, there was overarching, tacit support for the DeMo move from common public. Inspite of loss of business for traders, loss of jobs for casual workers and loss of income for farmers the Note Bandi didn’t evoke much unfavourable mood towards the BJP so far. I am not sure if it will, from now on. What explains this paradox? Many of the commentators have alluded to the human trait of Schadenfreude to explain this. That the poor were happy because this was one move which affected the rich and privileged and that the Prime Minister Modi had the guts to do so. This is a good possibility. But there could be more to this as well. Within days of the DeMo announcement, the initial despair among people who were caught unawares with a lot of unaccounted cash turned into a relief, when they found ways and means to deposit the same into the bank. Among many ingenious ways, one was to tap into their own staff and workers to distribute the cash and get them deposited into their bank accounts. A report said that by Dec, the deposits in Jan Dhan Accounts peaked to Rs.74,609 crore! As of Sep, it was just 4,273 crore! The number of Jan Dhan accounts itself went up 5 times in this period! My guess is that, in this process of conversion through the conduit of using others’ accounts, there must have been a cost. The government must have lost an opportunity to earn taxes on the unaccounted income but those who had a lot of unaccounted cash ended up incurring a “conversion tax”! And I am certain that those who were witness to the rich incurring this tax felt certainly happy that DeMo was an equalizer of sorts. And not just being a witness, there would have been many who would have benefited from the sudden largesse of their masters as well and got their share of the “conversion tax”. So, instead of the government collecting taxes from the haves and distributing to have-nots by way of welfare measures did DeMo make it as a Direct Benefit transfer from the rich to the poor without the government in between? Probably. It’s evident now that the DeMo move has been a rocking political success for the government. On the economic front, though the objective of sucking up the black money has not been achieved directly, certain fringe benefits have accrued. Like reduction in cash circulation, increase in Digital transactions, and increase in bank deposits,… These may leave the country in good stead in the future. In the short-term however, the country skipped its GDP beat. So when one does the after”math” of DeMo, it may well be like the popular “Elephant and the Blind men” story. For some, it’s a failure. For some, it’s a success. For some, it’s a partial success and for some it could be a partial failure. I would like to go with Rajan’s assessment that the short-term economic losses far outweighed the long-term benefits. In hindsight, one is always wise. Other times – otherwise! Our Tryst with GST* – * Conditions apply!!! GST – The Good and Simple Tax, as our acronym lover PM touted during the launch on 30th June is finally a reality after almost 11 years of intense labour. This along with FDI in retail must count among the most awaited reforms in India by India observers. So, the advent of a single tax which subsumes, at last count, some 17 different taxes and myriad cesses certainly must count as the single largest Tax reform undertaken in India. Not to forget the application of tax only on value added in the chain. Along with this simplification, the fact that goods from one state can pass thro different states without wait, harassment and accompanying corruption portend a new beginning for trade in our country. In the pre-GST era, logistics and warehousing strategy of companies have been dictated by tax compliance rather than supply chain considerations. In the sense, the number of warehouses and their size would be driven by billing point concerns rather than geographical spread of demand. In the GST era, warehousing will depend on supply and demand equations and not taxation points. And hence like in most developed countries, companies will get to run larger, integrated and fewer of warehouses. Development of more efficient logistics hubs, warehouse consolidation and ensuing FDI will become a reality soon. This is a new dawn for retail, supply chain and logistics industry. So with all the seemingly obvious benefits of the GST regime, why is it that there is still some cynicism and negativity from different quarters about the move? Why is P. Chidambaram once the prime mover of GST when UPA was in power, cautioning all of us to “Get Set for Turbulence”? The GST in the current form is nowhere close to the one which was originally conceived. Rolling stones probably gather no moss. But a rolling GST gathered whole lot of moss on its way from the wisdom of empowered committees to standing committees to GST council. The current version of GST is a product of what I call “co-operative federal bullying”. The result is instead of the One Nation, One Market, One Tax premise, what we have is One Nation, One Market, One Tax name, 3 Sub Tax names, Multiple Rates, Few Exceptions, Some flexibilities and with an *. * – Conditions apply. Being part of the GST council, the states in their own wisdom, ensured that we as a country don’t get away with a simplistic tax which may throw many Chartered Accountants out of jobs. However, I understand that without having a set of different GST rates (in some cases different rates for the same category as per user segments) or without excluding items like Petrol, Alcohol, Real estate,.. consensus could never have been built in getting GST off the ground. UPA’s failure to make GST a reality during their regime stems from this. So the choice before the centre was to accept what the states demand and bring about a not so ideal GST or wait endlessly for a few more years may be decades before some major economic crisis forces all concerned to come to an agreement on the ideal GST. From that point of view I agree with the stand taken by the Govt. to bring in GST in its present form with its shortcomings, with a hope of ringing in the changes in the coming years. Kudos are in order hence. The Congress party which at every opportunity reminded us that the seeds for GST in India were sown by the UPA, however, chose to be petulance personified and boycotted the GST launch. While rubbishing the GST in its present form its main “anGST” against GST was that it is being rushed thro and should be delayed by 3 months till September. We all in India know that in our country whatever may be the preparatory time available, things get accomplished at the last minute. If we get more time, we stretch our deadlines accordingly. That if we have more time, we will be more prepared and can do trial runs before actual roll out,.. exists only in theory. Don’t we see in our Indian weddings, folks tying up some loose ends literally till the baraat arrives and continue to do so as the wedding is in progress? Finally when the wedding gets over, its smiles all over. So even after the GST roll out, there will be glitches, teething problems and surprises which I am sure we will find ways and means of getting over. Pushing back by another 3 months is not going to make things any different. It must be commended that this Govt. stuck to the date of July 1. It would have been very easy for the PM and the Govt. to throw in the towel and put off the launch by a few months. But then, there are other implications. Come Oct. it is the peak festival and hence business season in India. Does It help if the roll out happens when India is in the midst of its biggest Annual economic cycle? Will it help if GST is launched in Jan. in the final quarter of the fiscal year??? The ruling party, the BJP counts traders as its important traditional support base for the party. That the party still decided to go ahead with the tax reform which professes maximum disruptions for this group is a significantly courageous move. In India economic reforms have always been carried out under duress; when push comes to shove. The heralding of GST must be the 1st major economic reform brought in when not under any kind of stress but just to ease up things for the future. This certainly conjures up the arrival of Acche Din for our country. Still our penchant for complicating things comes to the fore here as well. Though the GST collections have to be shared between the state and the centre, could it not have been done at the back using technology rather than coming up with 3 variants like SGST, CGST and IGST??? Does the Anti-profiteering clause make sense? Will not competitive economics eventually drive pricing?? GST is indeed a Good and Simple Tax. So there is nothing like a good or better time to introduce the same. But, we should not forget that this is India and we are Indians. So, conditions apply. The neigbourhood vegetable bhaiyya Yadavji is still going strong negating all predictions that the organized retail will swallow the likes of him. Organised retail didn’t quite swallow him. But he is now a fringe player of that organized retail. I pick up the weekly need of vegetables and fruits. His son who is in his early twenties, quickly totals up the bill in a handheld POS (Point of sale) device and lets me know the amount. He then sends me a request for the payment using his UPI (Unified Payments Interface) App on his smart phone. I approve the same and the payment gets credited to his account. Adi Ganesh Store which was a popular shop in our neighbourhood In Mumbai catering to the typical needs of the South Indians (Read as Filter Coffee powder) is now Adi Ganesh Super market. They now accept payments in credit cards even for purchases under Rs. 100. At the Guruvayurappan Temple nearby, the Hundis for coins and cash have been replaced by plastic card swiping machines where all donations can be made and receipts received. Our family physician Dr. Purab is still the smiling self and fit as ever. He continues to give his own medicines but one can pay his fees through credit card. The “Old paperwala on call” still comes promptly to collect the old newspapers. He now has a tie up with the Big Bazaar chain of stores and gives Big Bazaar cash cards for the paper taken. Almost all auto rickshaws are now part of some aggregator or other and are accepting payments through mobile wallets. The Domestic help handed over a card which had the details of her bank account number to which she requested the salary be transferred. It looked like that the benefits of JAM (Jan Dhan Yojana/Aadhar/Mobile phone) which had threatened to be just a great theory has become a reality. I realized that India in Jan 2025 is not the same in more ways than one as it was in 2017 when I left for abroad. But I am surprised first, impressed next and fascinated finally by the transformation of a country in the area of financial inclusion and the transition to almost a Cash Mukt Bharat in just 8 years! Almost everybody I talked to credited this transformation to various moves the present BJP Government undertook and in particular the “Demonetisation” of 500 and 1000 Rupee currencies in 2016. I remember that time very well. It was in November of 2016 when the country had just finished its annual quota of bursting crackers for Diwali. On 8th night, it was the turn of the Prime Minister to set off his Diwali bomb. 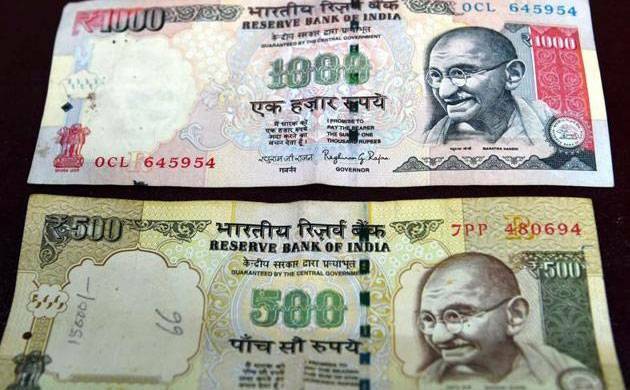 At the stroke of midnight 500 and 1000 Rupee notes lost their legal tender. What followed in the next couple of weeks I now realize had sown the seeds for India almost becoming a Cash Mukt Bharat. With almost no cash in hand available, the general public had to resort to ways and means to avoid using their left over legal tender and use them only sparingly. People started doing day today shopping of veggies/fruits,.. in super markets instead of the neighbourhood vendor though he sold stuff fresh. People avoided auto rides by hailing on the roads and resorted to “Ola Autos/Ola Cabs” where they could pay by mobile wallets. Within few days as banks resembled Ration shops of the 80’s India with serpentine lines right from sunrise, vegetable and other vendors started accepting cheques for payment in fear of losing their customers. Most food establishments who had a minimum limit for accepting credit cards removed such limits. In the hinterland of India is where the impact was colossal. Though a big population was banked under Jan Dhan Yojana, till then they were not banking. The overnight shortage of currency, helplessness in otherwise carrying out day to today lives and finally the threat of losing business permanently pushed many to figure out alternate ways for making and accepting payments and they did. There was utter chaos for few days as the country came to terms with the move but ultimately in the long run, change did happen. In India normally change is slow. But under duress change is swift. Tomorrow, on the 29th Feb 2016 as the finance minister “rises to present the budget of the Union for the year 2016-17”, he also raises a lot of hopes. In the media in India in the past 1 week or so, it’s been raining wishlists from the budget. As an Aam Admi, I also got tempted to join the bandwagon to submit my own wishlist though I know very well that it’s too late to incorporate even one from this (Wait a minute, may be one can be). But I still go ahead and here’s my list of 10 things which I would like to see change around the budget atleast in my life time. On the day of the Budget, one familiar sight every year you can’t escape is the FM posing with a shining new “Brown Brief case” just as he enters the parliament. To me this brief case symbolizes extreme colonialism which we find it difficult to shrug off. In British parliament also same thing happens to date. (For more on the history of the “Budget Bag” pls click here). For a country, which boasts itself as an IT behemoth and all that jazz why can’t the FM just walk in with a high capacity pen drive or a lap top instead of this antiquated brief case??? Won’t that be cool? 4. I don’t know when or who started this trend of sprinkling budget speeches with Shayari??? 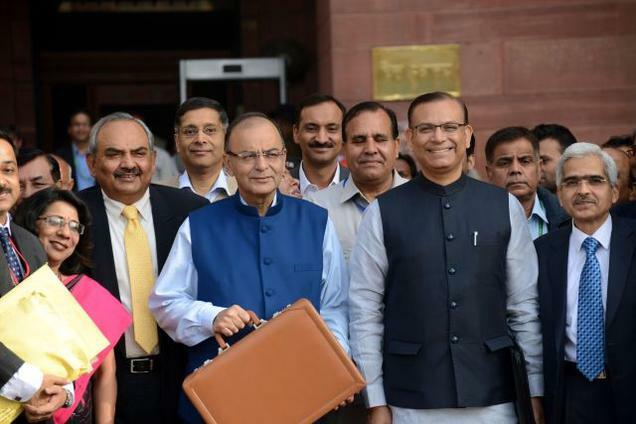 I do know that FMs like Manmohan Singh, Yashwant Sinha and now Arun Jaitley (Not to mention P.Chidambaram and his Thirukural couplets) get into shayar mode in the course of the budget speech but with limited effect. While it’s good to keep the speech which tends to get boring interspersed with some couplets, poetry,… more often than not it looks thrust upon and not in a flow. As if the British left that also as a rule! Some good self-deprecating humour could be a better option! 5. What is this thumping of the desks by the treasury benches for every outlay announced? It’s now obvious that outlay in itself doesn’t mean anything. Before the FM starts reeling out budgetary allocations, I would like to see the FM starting with the “Outcomes” from the outlays of the top 20 items in the previous year and explain how it benefited the people at large. That will give us some idea as how “our” money has been utilized and for the Govt. an opportunity to boast their report card. This can be followed by the outlays for the next year with clearly expected outcomes from the same. 6. And what is this “ranking” business the media resorts to by the Industry captains immediately after the budget? We have now seen that the devil is in the detailed explanations that surface later. So any ranking without understanding the fuller provisions according to me is an exercise dipped in frivolity. 7. And when is the last time you have seen industry captains giving a thumbs down to the budget?? It is generally a mega thumbs up or atleast a thumbs up with conditions attached. The feedback is always ‘right” and seldom “honest”. So why get into reactions from the Industry which are any way far removed from honesty? 8. Any why do the pink channels get excited and scream about the way the Stock market reacts to the budget?? We have now seen many times in the past that the Stock Market reaction to the budget is knee jerk and not borne out of any proper analysis of the after effects of budget proposals. 9. And why do the pink papers – The Economic Times in particular come out with a blockbuster issue the next day of the budget with the full budget speech and the myriad annexures??? Just upload on the net and leave it to the discerned to access if they need. Saving trees and the environment can just start here! 10. And finally, instead of the FM just making a once a year marathon appearance why not present a review of the budget and the progress made on outlays once every Qtr.? This will help us understand which ministries are performing and will aid PM to separate the wheat from the chaff! I admit that my wishlist is more on the “method” and not on “matter” and “form” rather than “content”. One of my earlier posts (read here) delved on that a bit. Hopefully we get to hear something sweet in the leap year budget speech tomorrow which will leapfrog our economy. And are not dished out the greasy “Halwa” we Tamilians abhor.